Complex entrance examinations like CAT, IIT JEE, GATE etc contain sections for mathematics and physics which often involve numerical questions. Online exams are, however, not only preferred by such large examination bodies. Many schools and coaching class today have also resorted to online exams as a convenient means to evaluate a student’s academic progress. 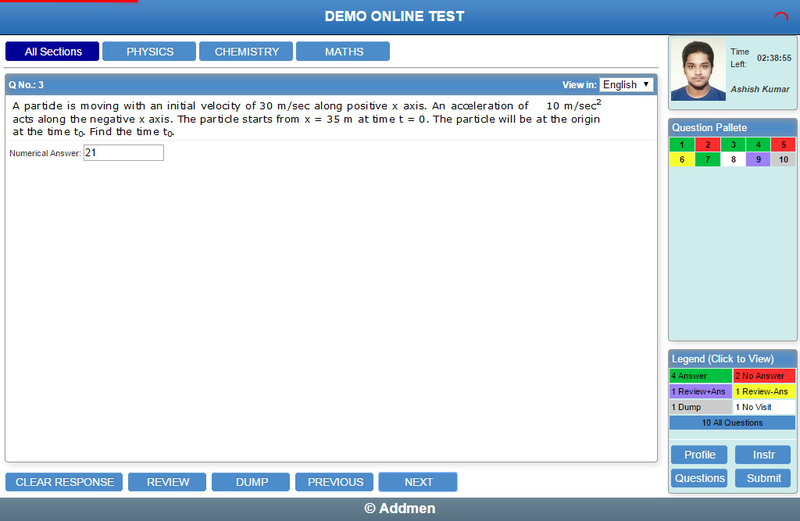 Addmen provides the best online exam software that can be used to create online tests based on the exam pattern desired by the exam committee. Include complex numerical questions with integers. Create passage based MCQs containing numerical values. Include diagrams and geometric shapes as part of a numerical question. Numeric type questions are shown with a text field, where the candidates can fill the answers in single, double and triple digits etc.